This weekend while at Hood to Coast 2014, I was challenged by both a coworker (Ruoting) and my cousin (Amy) to do the famed ALS Ice Bucket Challenge. I do believe its up to us to donate to charities to fund medical research. I also think charities should be rewarded for their creativity in creating truly clever marketing and awareness campaigns. Hats off to ALS, as this challenge is working! As of today, ALS is reporting that this ice bucket challenge has raised $70.2 million dollars! $70.2M Raised to Date. From the “Thank You” screen seen by donors online. I took this screen shot after donating on 8/24/2014. That said, I also believe the potable water is “blue gold” and that there should be awareness of this as well, particularly in California now where we are in drought conditions. For those of you who have Amazon Prime and have not watched “Blue Gold: World Water Wars“, I recommend it. I also appreciated the spirit of an article I read called “The California Drought Versus the Ice Bucket Challenge.”. 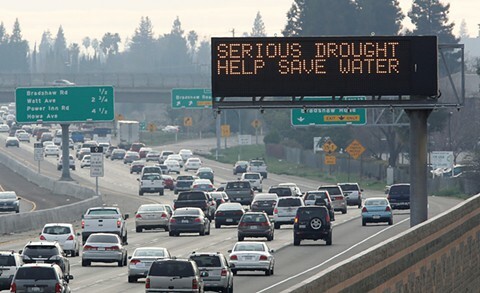 I am not against the #droughtshaming hashtag either that is being used in social media to raise the awareness of this tradeoff. In fairness to ALS, I also cite the text on the ALS Association Web site. Please be thoughtful about water usage! If you’re in an area of the country or world affected by drought, repurpose the water for later use or help spread ALS awareness by becoming an ALS advocate, joining the Walk to Defeat ALS in your community, getting involved in our fundraisers, or sharing information about this disease via social media. Or you can make a donation instead at www.alsa.org/donate. So, here I am using the Pao Family blog to spread social media awareness about ALS, as well as to spread social media awareness about the drought. I gave the money and saved the water at the same time.